Being an executive director entails a great deal of responsibilities. As a leader in the organization, they often make a lot of the decisions in the organization and these decisions carry a great weight to the overall success of the firm. They are responsible for the day-to-day operations of the firm and in developing an organizational culture. Their importance in an organization could not be stressed enough. When you are finally ready for that big leap to this big role, you need a resume that gives you an edge from other experienced professionals. 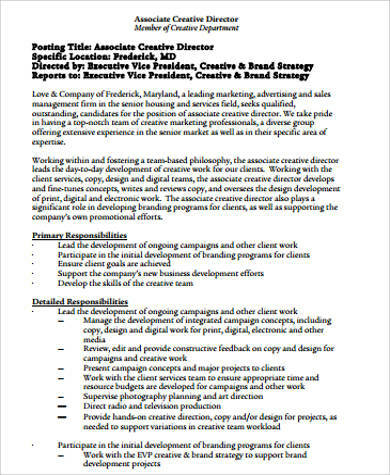 Our executive director Sample Resumes completely understand this and they are designed to make you stand out. Applying for an executive level position is no different from applying for entry-level positions. You still have to put your best foot forward because there are also other people vying for the position. Competition in executive positions is also tough. 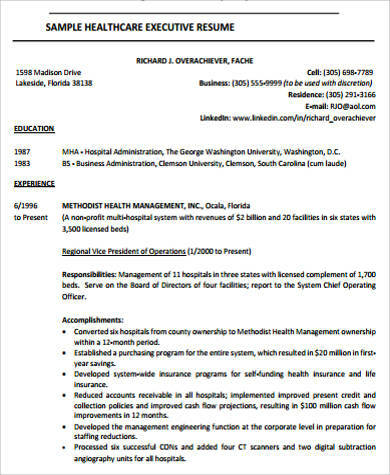 Check out these Executive Resume Examples to see the elements that goes into it. Personal Information – You need to place your full name and address. Make sure your contact details, that is, phone numbers and email address, are your current one. Professional Summary – You may have a lot of experiences and accomplishments already. Make sure to include all of them here but keep it brief and concise. Areas of Expertise – As an executive director, some areas of expertise include asset and liability management, staff coaching and mentoring, product development, and so on. Professional Experience – You have quite a lot of this by now. Make sure to list all relevant experiences in reverse chronological order, starting with your present position. Education – Mention your school and degree finished. Training – Be sure to include all the trainings you had that is relevant to the position. 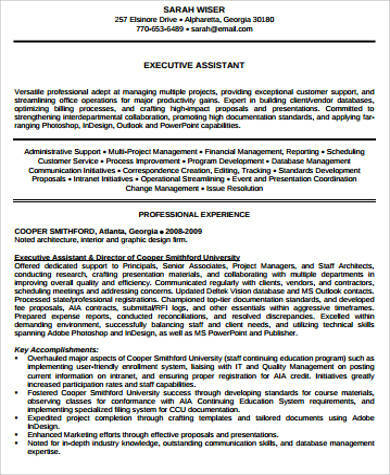 Making your own resume gets harder as you gain more and more professional experience. There is a large body of work that needs to be covered. 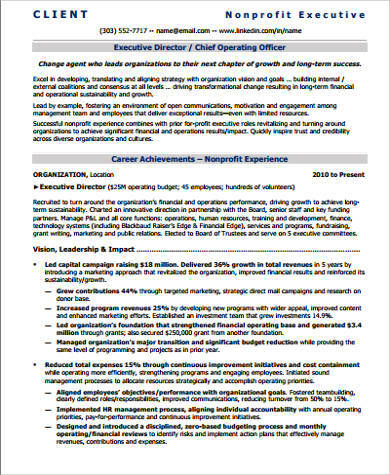 When making one, make sure to check these Sample Executive Director Job Descriptions so you can get keywords to put in your resume. 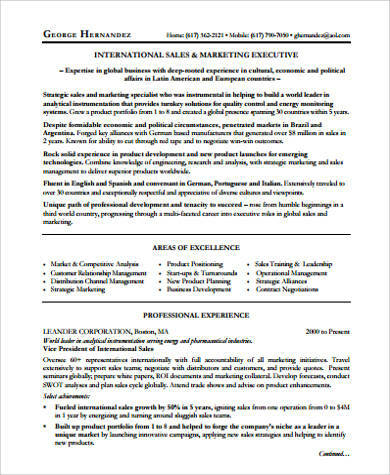 Here are some tips you can use in making a resume for that executive-level position. Start out strong. 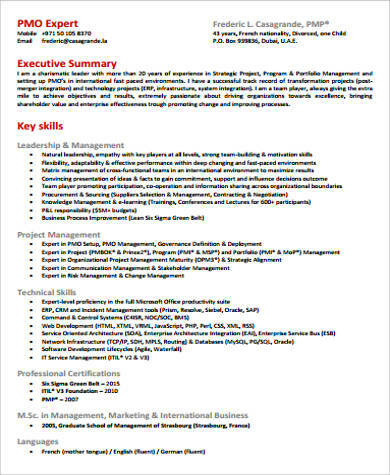 The professional summary is a very important part of your resume. That is often the only thing some hiring managers look at when deciding. Make sure to hook them from the start by giving a strong summary of your achievements and capabilities. Focus on quantifiable results. Do not put out general achievements on your resume. Make sure that it conveys the great results that you were able to accomplish by being specific as to what you have done. Build an online presence. These days, it is necessary for executives to have an online presence. Once you have crafted that perfect resume, you should at least put it on LinkedIn and build that online presence. Applying in an executive-level position is as hard as applying for entry-level positions. In order for you to get that job, you need to have a compelling resume that makes hiring managers take notice. 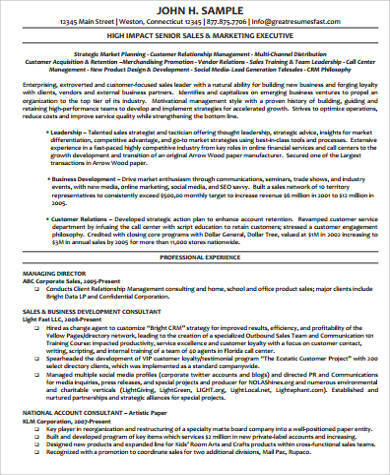 Our sample resumes are a great start in finally landing that executive role.